Regarded as one of AV-Comparative’s Products of 2012, avast! 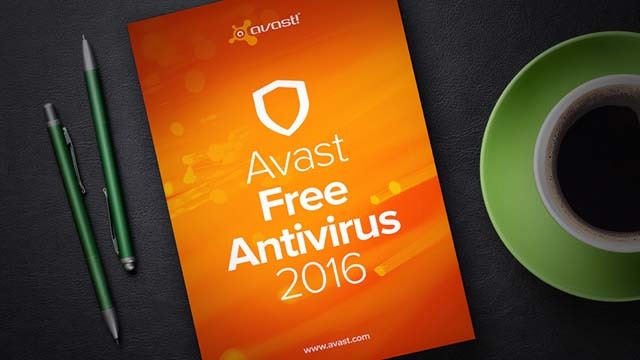 Free Antivirus is a solid free solution that offers plenty of features. Some of the extras include a software updater that alerts you when you’ve missed a program update and a Browser Cleanup tool that assists you with removing unwanted browser add-ons. The utility is simple to install and consists of a friendly user interface. avast! virus scans are efficient and have minimal impact on system performance. Furthermore, avast! offers heuristic scans that detect malware that was previously unknown. Panda Cloud Antivirus offers real-time antivirus and anti-spyware detection. Spyware prevention methods are also effective. This utility is a lightweight solution which doesn’t consume an excessive amount of system resources. Panda Cloud Antivirus is easy to use and will make the best decisions for you in keeping your PC protected. The free edition also offers URL and web filtering. This utility offers top-quality firewall protection, with additional features such as “Do Not Track Me” toolbar button and provides unsafe indicators in search results links. However, the tool is difficult to install on malware infected systems. The utility may cause slowness in system performance and in computer boot time. Avira Free Antivirus consists of an excellent antivirus engine that constantly monitors your PC for malware threats. Avira offers a browser toolbar that provides you with antiphishing, ad blocker, and social networking protection. The interface may take a while to get used to initially and system performance may be negatively impacted. However, this tradeoff is acceptable due to its malware detection capabilities. Bitdefender Antivirus Free Edition is a solid solution with the exception of one major flaw. This utility does not offer real-time protection and won’t inspect files as you access and download them. The tool only scans files when you execute the scanning process. However, this utility is known to identify malware that other tools can’t detect and it’s definitely worth checking out. If you’re looking for a free antivirus solution, AVG Free Antivirus is a great option. In addition to providing a good antivirus engine, AVG provides a good range of features that include an email scanner, identity theft protection, and Surf-Shield that protects you while web surfing. If you’re running Microsoft Windows, you probably have heard or have already installed Microsoft Security Essentials. The utility is free and is popular among Windows users. The interface is simple and easy to use. There’s hardly any configuration you need to worry about with this solution. However, Microsoft Security Essentials offers the minimum protection against malware threats. The tool updates the signature files only once a day compared to hourly updates from other antivirus solutions. Consequently, Microsoft Security Essentials may not offer the most updated malware protection. Having an effective antivirus software installed on your computer can protect you from the latest malware threats. The antivirus software list above can assist you in making an informed decision when selecting a free antivirus solution.